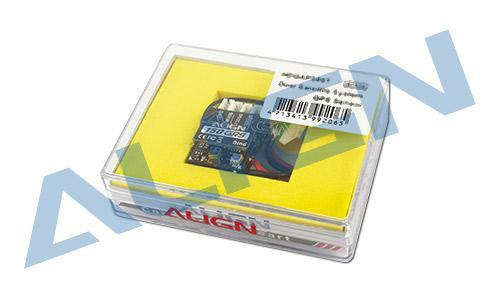 • 6-axis Gyro: 3-axis gyroscope + 3-axis accelerometer using a superior ARM Cortex-M4 32-bits processor. 3D feeling is superior while auto-level ability is also agile and stable. • Attitude Auto-level Mode: While there is no stick input for helicopter, the heli will auto-level and still keep at horizontal position, which is suitable for beginners. • Rescue Mode: While wrong stick input is given or heli is in trouble, or you are in panic, activate the rescue mode by flipping a switch on the radio to keep helis at a level position. • 3D Flying: Brand new DFCS (Direct Flight Control System) Contorller allows to control real time flight. Strong Cortex-M4 Processor allows T-REX 150 to fly just like big scale helicopters. 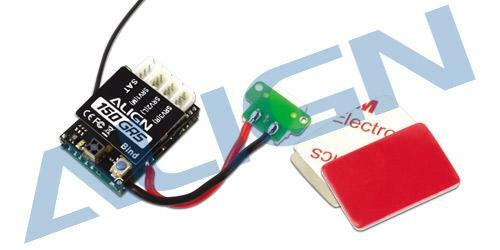 • Built-in Receiver: Futaba S-FHSS 2.4GHz System. Persistent maximum current require optimal heat dissipation condition. Supported motor types: 2 poles to 18 poles brushless outrunners. Maximum rotational speed: 2 poles-240000 RPM, 12 poles-40000 RPM.